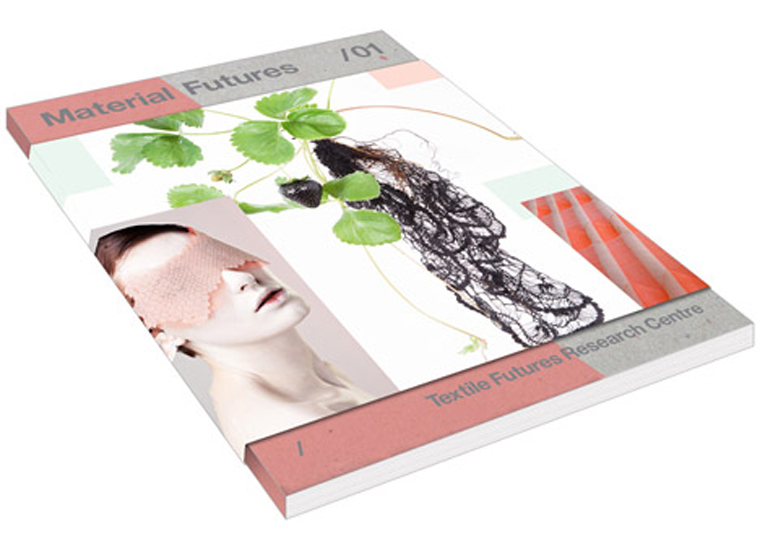 Textile Futures Research Centre is looking to rethink the future of materials. 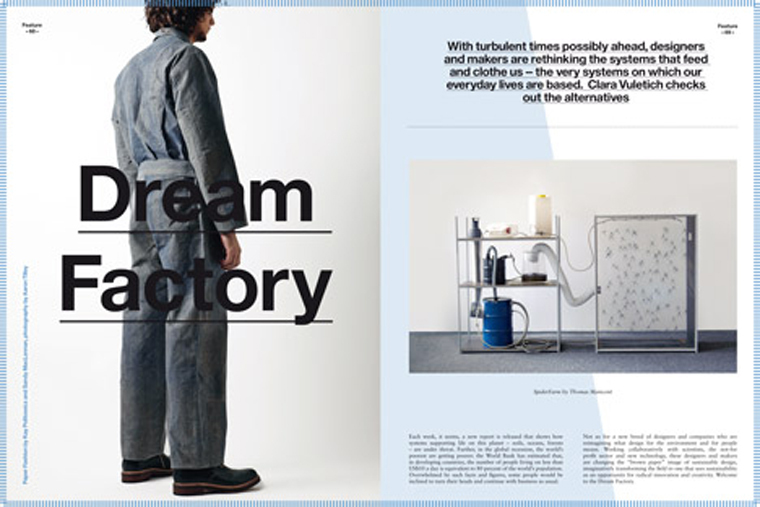 The centre is based at Central Saint Martins College of Arts and Design and has just released its first publication ‘Material Futures /01’. 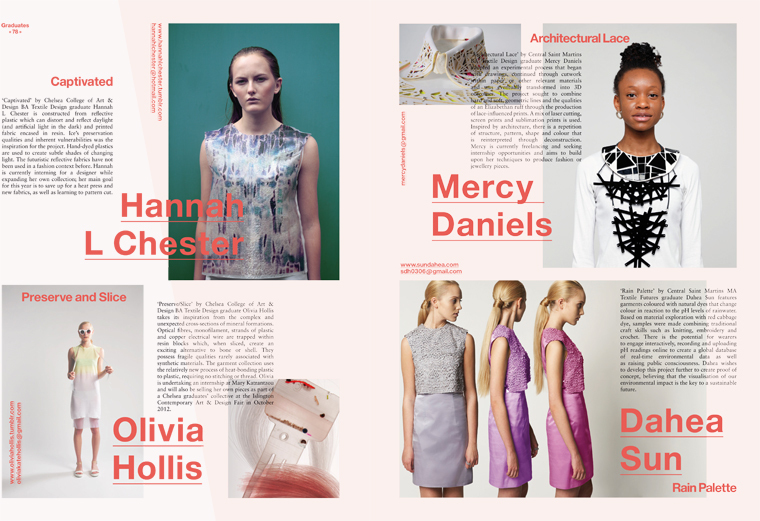 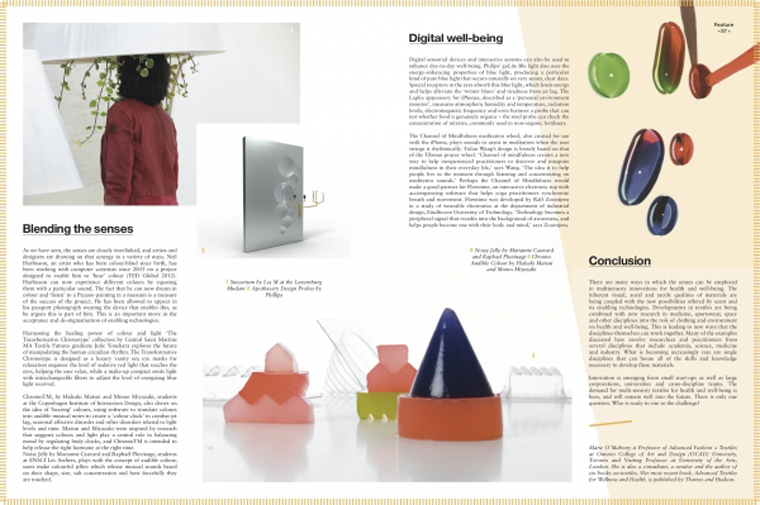 The magazine was edited, compiled and designed by FranklinTill for TFRC. 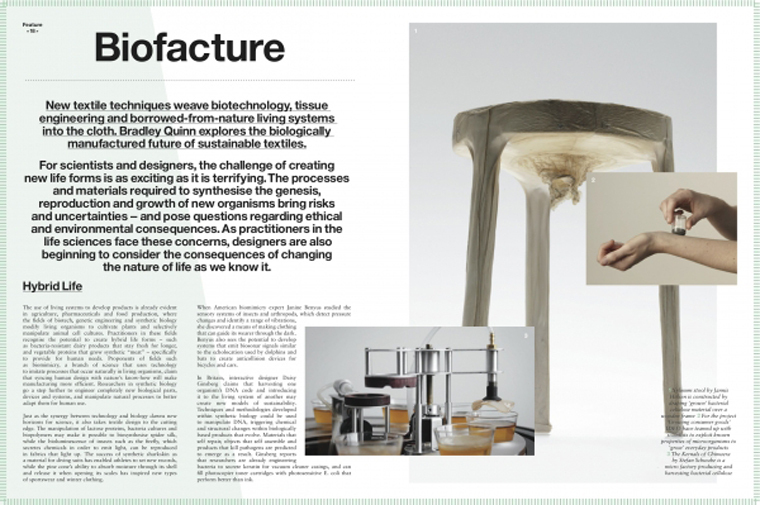 The content covers exciting topics such as Science and Technology, Sustainable Strategy and Well-Being. 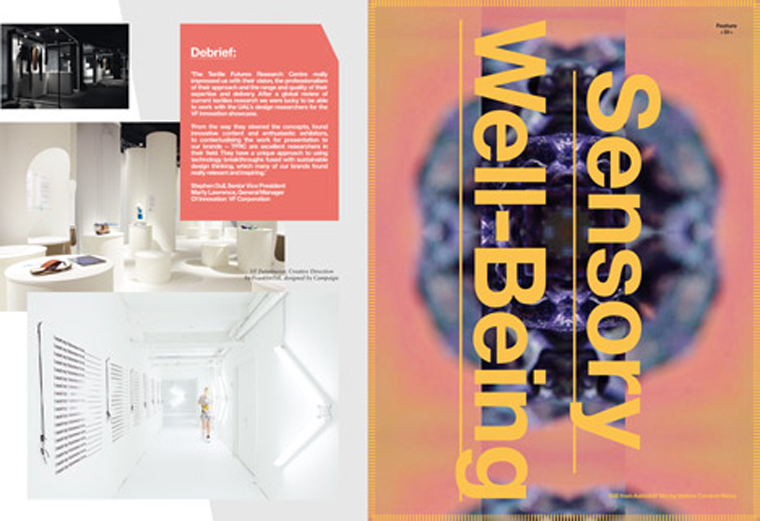 I was commissioned by FranklinTill and was the senior visual researcher for this project.